Freddy Hall; Shaun Kelly (Shane Tracy 67), Paudie O'Connor, Robbie Williams, Sean Russell; Paul O'Conor, Shane Duggan; Stephen Kenny (Garbhan Coughlan 80), Lee-J Lynch, Aaron Greene; Chris Mulhall (John O'Flynn 71). 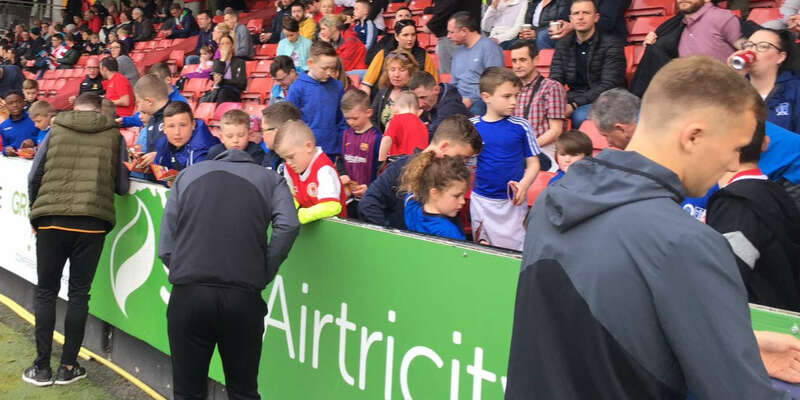 Three goals in the final 10 minutes secured a second successive EA Sports Cup for St Patrick's Athletic against Limerick FC at the Markets Field. Conan Byrne, Jamie McGrath and Graham Kelly all struck late on as Liam Buckley's men came from behind to defeat the First Division champions amid a frenzied atmosphere at the Garryowen venue. Martin Russell's Limerick made the livelier start and Aaron Greene was almost played through on goal as early as the fourth minute from Paudie O'Connor's pinpoint long ball. A minute later, Sean Russell's cross found Lee-J Lynch inside the St Pat's penalty box, but he volleyed into the ground to spurn a good early chance for Limerick. St Pat's went close on the quarter-hour mark, with Freddy Hall producing an excellent reaction save to tip behind a close-range header from Christy Fagan. Then, in the 18th minute, Russell's throw-in found Lynch, who let fly from 25 yards into the roof of the St Pat's net to almost take the roof off the Markets Field as the home fans erupted. Liam Buckley's side were a distinct second best in the early stages but they gradually grew into the game as the half-hour mark approached and most of their creative play was going through Byrne on the right, the winger surging into the Limerick box before being blocked by Robbie Williams. At the other end, Lynch fed Greene on the left and his cross needed a vital touch from Ian Bermingham to knock it behind for a corner. Limerick were relatively comfortable as they got to half-time with their lead intact. St Pat's made the stronger start to the second half and had the first chance of note after half-time when Billy Dennehy's low free kick was palmed away by Hall. On 51 minutes, Lynch found Chris Mulhall in space through the middle and the striker bore down on goal, but couldn't beat O'Malley one-on-one. There was a nervy moment for Limerick when Hall flapped at a Bermingham cross, but nothing came of the chance when the ball broke to Dennehy, before Byrne screamed for a penalty when he went to ground in the penalty area, but referee Rob Rogers booked him for simulation. Limerick should have doubled their lead on the hour when Russell picked out Stephen Kenny, but he contrived to fire over with the goal at his mercy. 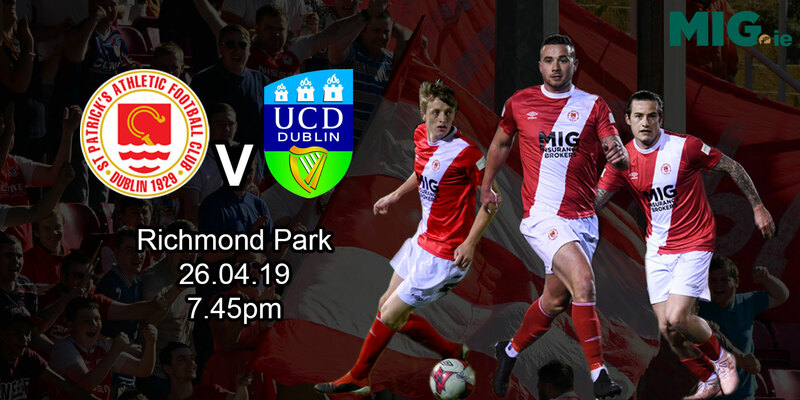 In the 65th minute, Dennehy found Fagan through the middle and he slotted home for the equaliser as St Pat's eventually made their pressure tell. A spate of stoppages followed as Limerick at least managed to halt the prolonged procession towards their goal. Then came the late onslaught from the Saints. In the 83rd minute, Bermingham's cross flicked off Fagan's head and dropped for Byrne, who took a touch to set himself before drilling to the net. McGrath then clipped the ball over the stooping Hall on 88 minutes. Graham Kelly twisted the knife further in stoppage time when, on a breakaway, he ghosted past Hall and took the ball wide before slotting to the net. 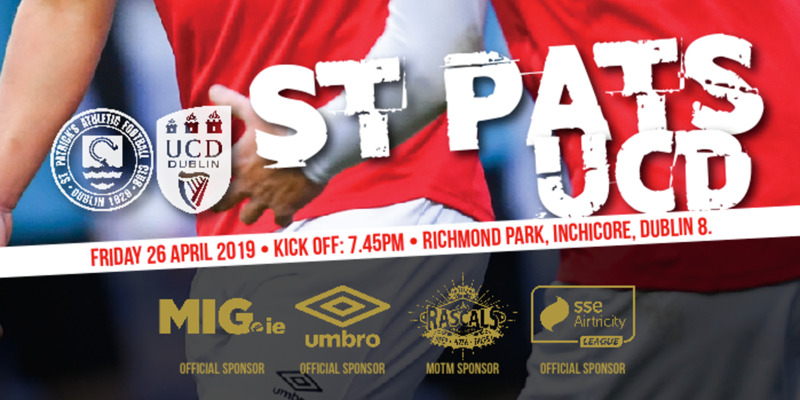 In the end, the 4-1 scoreline did not reflect how hard-fought a win it was for St Pat's, but they were totally dominant after half-time as Limerick faded.